Michael Herbert was banned for five years after an investigation into an anti-Semitic video, filmed in Russia. Two men have been banned from attending football matches following offences at the Russia World Cup. Michael Herbert, 57, from Derby, was given a five-year football banning order when he appeared at Leicester Magistrates Court. It follows an investigation by police into an anti-Semitic video which circulated online. Another two men, aged 52 and 58, were served with notices under the Football Spectators Act. Although they appeared in Leicester Magistrates Court, their case was adjourned until 26 June. Following a separate incident on a train near Moscow on 17 June, Paul Johnson, 25, was given a three-year football banning order. 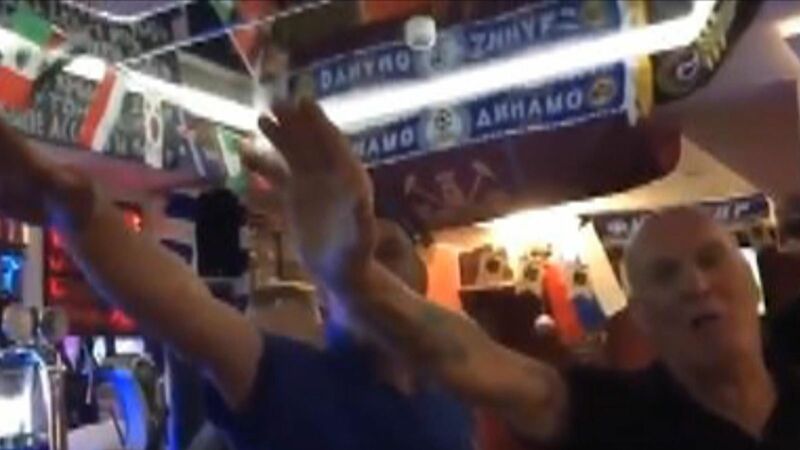 Police were hunting those who appeared in a video performing a Nazi salute. The FA condemned the behaviour, adding: “We are working with the relevant authorities, including the UK police investigations team, who are making inquiries to identify the individuals involved and take appropriate action.